The last couple of days have not been fun. I was afraid after the Yankees finished off the sweep of the surging Seattle Mariners, the Yankees might struggle against a losing team. I know, every team goes through mini-slumps and it is inevitable the Yankees will lose from time to time as difficult as it may be for Yankees fans. They’ll eventually lose around sixty games (give or take) by the time the season is finished so Loss #24 on June 23rd is not the end of the World. Winning 116 games in the regular season does not guarantee anything. Just ask the Mariners. The goal is to win the division, not to see if the Yankees can top the 114 victories by the 1998 Yankees. 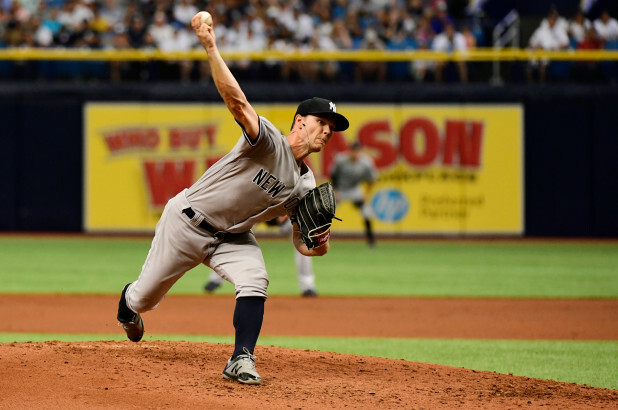 I think the toughest part of Friday night’s 2-1 loss to the Tampa Bay Rays was the inability of the Yankees to score runs off the Rays rotation by bullpen. 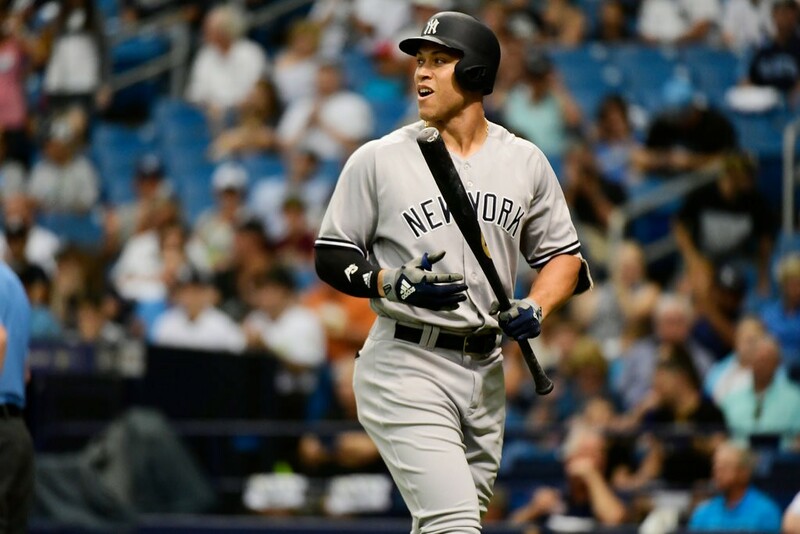 Trailing 2-0 in the 7th inning, Aaron Judge delivered a run-scoring single off one-time brief Yankee Chaz Roe and had the Yankees set up in scoring position with Brett Gardner at second and Judge at first and only one out. But both Giancarlo Stanton and Didi Gregorious both grounded out to end the Yankees best chance to tie the game. Otherwise, it was a very quiet night. On the same night as the Yankees were floundering in St Petersburg, the Boston Red Sox overcame deficits of 0-5 and 5-10 to defeat the Seattle Mariners by a score of 14-10. The Yankees couldn’t squeeze out one more run while the Red Sox had no problem erasing not one but two five-run deficits. Yesterday’s loss might have been easier to take for no other reason than the Red Sox finally lost. The Mariners snapped their five-game losing skid with a 7-2 victory over Boston and nine-game winner Edwin Rodriguez. 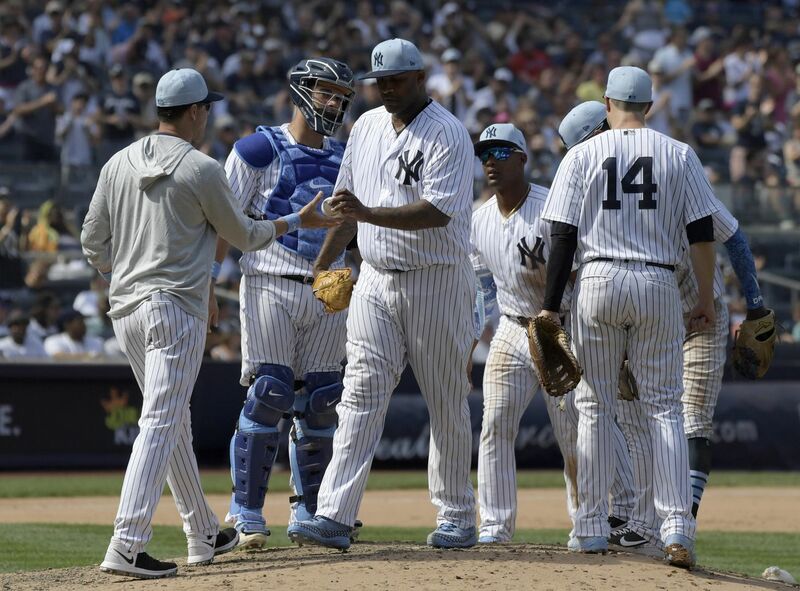 There were not very many positives with Saturday’s game as the Rays bullpen held the Yankees scoreless on four hits en route to the 4-0 win over the Yanks. 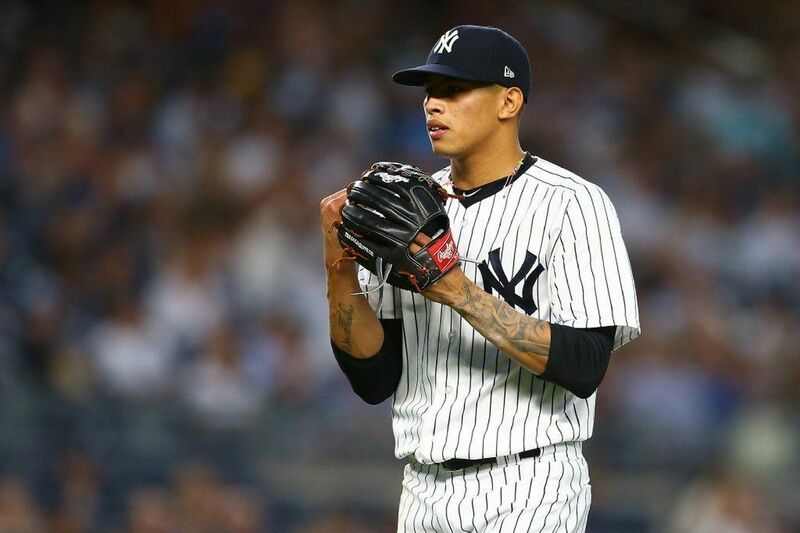 Sonny Gray gave up three runs in the first two innings to put the Yankees in a hole and the last hitter he faced in the bottom of the 7th, rookie Willy Adames, took him yard. Credit Gray for the stretch of hitters when he retired 15 Rays in a row, but ultimately it was just another loss for the disappointing Gray (5-5, 4.93 ERA). I do not understand Wilmer Font’s mastery of the Yankees. 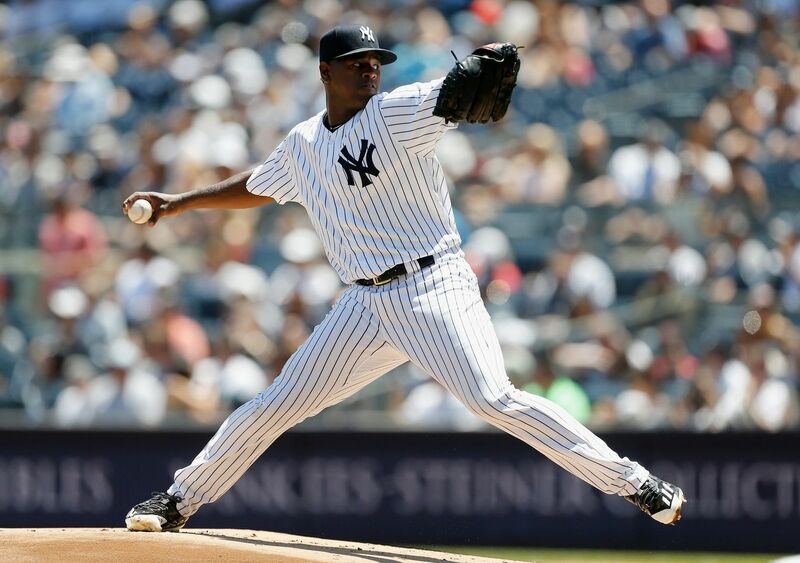 Font lost jobs earlier this year with the Los Angeles Dodgers (11.32 ERA) and Oakland A’s (14.85 ERA) but against the Yankees, Font is 1-0 and has limited the team to only 2 runs over 11 1/3 innings with 9 strikeouts. The Yankees have almost single-handedly revived Font’s career. 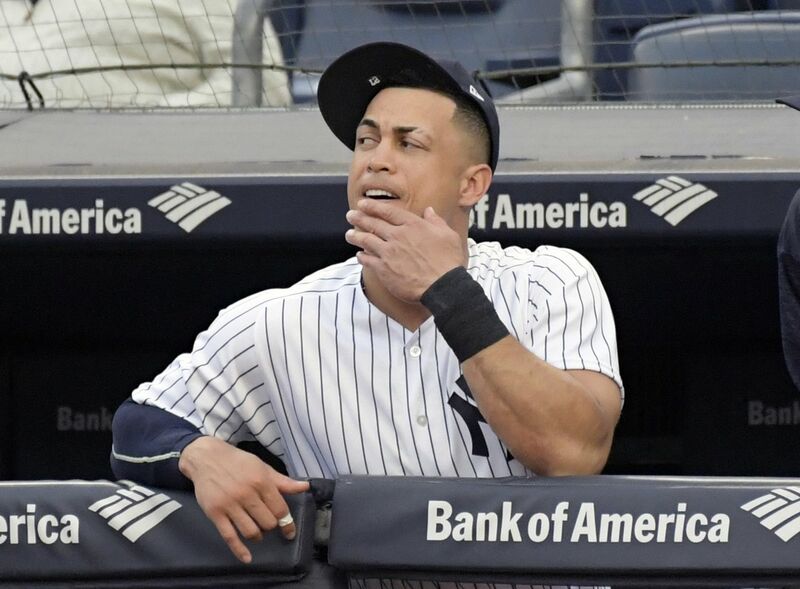 The most painful at-bat for me yesterday was Giancarlo Stanton’s strikeout (against Rays reliever and Friday night’s “opener” Ryne Stanek) to end the top of the 6th inning, leaving Aaron Judge stranded at third. 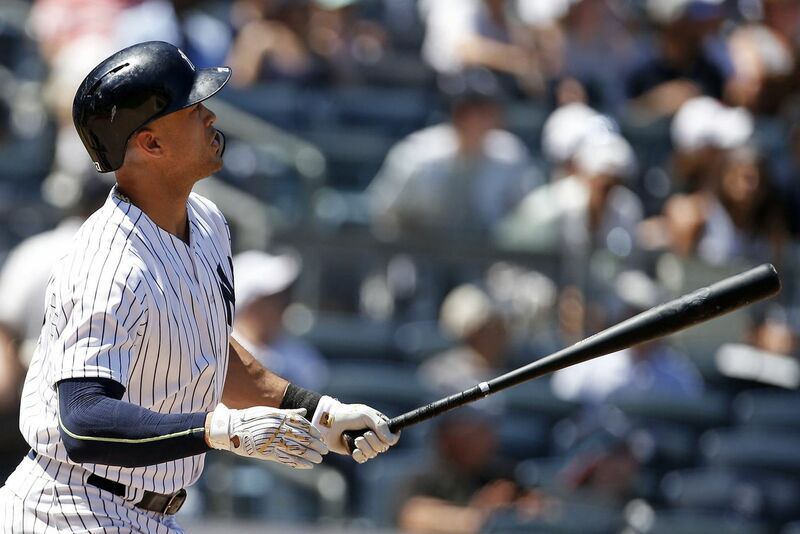 Leaving runners in scoring position has plagued the Yankees in both losses and the last couple of weeks. Friday night, they were 1-for-9 with runners in scoring position and they left nine men on base. Yesterday, they were 1-for-8 (Didi Gregorius advanced Judge from second to third prior to Stanton’s swinging strikeout) but couldn’t get anyone home. 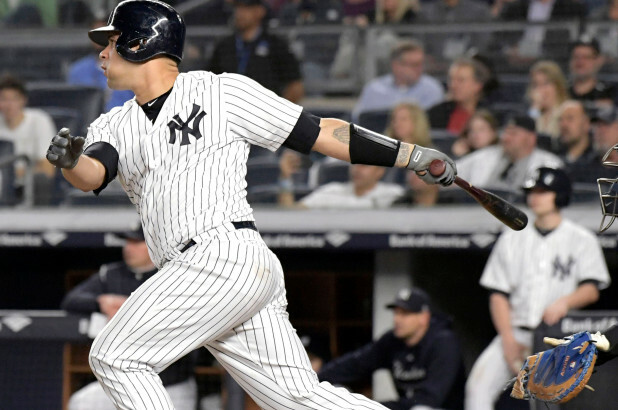 The Yankees offense really hasn’t done anything since the two-homer outburst in the first inning of the series finale with the Mariners last Thursday. The Yankees (50-24) hold a slim one-game lead over the Red Sox (51-27) in the AL East. After helping the Rays climb closer to .500, the Yankees have a tough week ahead. When today’s game is over, they’ll hop on a plane bound for Philadelphia to play a three-game set against the Phillies. The Phillies currently have a better record than the Washington Nationals and sit just a game and a half behind the surprising Atlanta Braves in the NL East. There’s no doubt they’ll be ready to play when the Yankees come to town. The Phillies are riding a three-game winning streak entering play today. After a much-needed day off on Thursday, the Yankees return home to face the Boston Red Sox for three games next weekend. The Braves follow the Red Sox so the Yankees have clearly missed an opportunity to beat up on a losing team before another difficult stretch. Time to get the team’s offense going. Today is better than tomorrow. I’ve really missed Michael Kay’s “See ya!” calls. I was going to rip on Chasen Shreve but the Yankees did it for me. 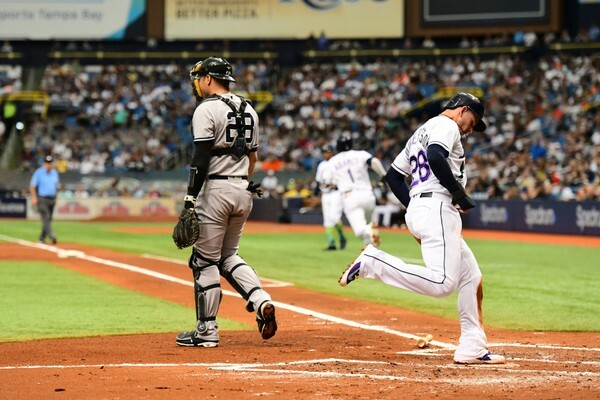 Shreve relieved Sonny Gray yesterday after the homer by Willy Adames and he had the Rays set up for more runs with a couple of walks and a hit to load the bases. Fortunately he struck out Wilson Ramos to leave the bases full, but it appears this may have been his final Yankees appearance. 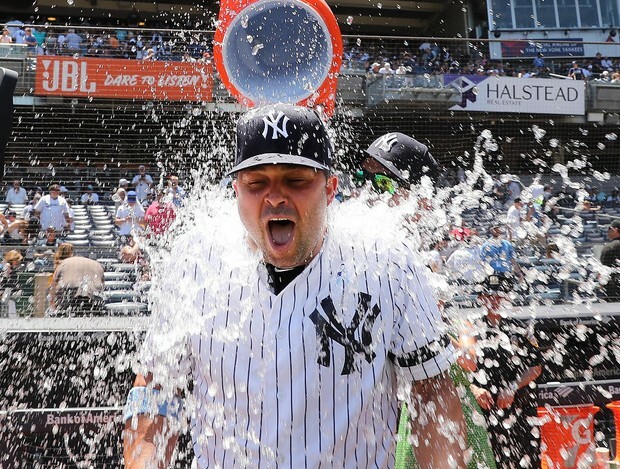 The Yankees designated Shreve for assignment today, recalling Tommy Kahnle from Scranton/Wilkes-Barre. As a lefty who has experienced some success at the MLB level, I doubt Shreve clears waivers so thus endeth his Yankees career. The Yankees need another lefty for the pen but I am not sad to see Shreve go. He was the bullpen’s weakest link. Welcome back, Tommy Kahnle! The Philadelphia Eagles fan was 1-1 with 3.12 ERA in eight games for the RailRiders. He struck out 15 batters in 14 innings and yielded only 3 walks. I am glad to have Kahnle back even if his 7th inning role has been supplanted by Jonathan Holder. He gives Aaron Boone a few choices before he pulls the Dellin Betances-Aroldis Chapman card late in games. 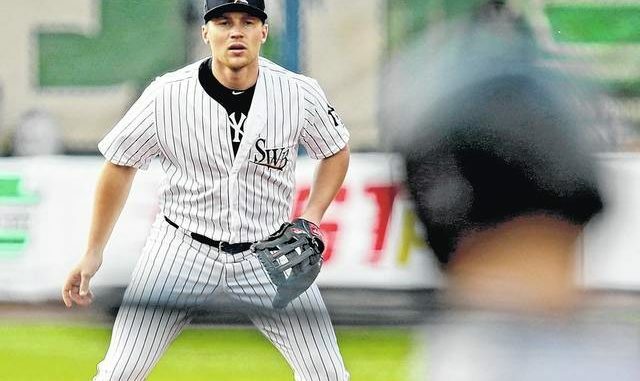 I cannot talk about the RailRiders without mentioning Brandon Drury. Drury’s two-run homer yesterday was the difference-maker in the RailRiders’ 4-2 win over the Rochester Red Wings. Drury continues to be an on-base machine even if he was only 1-for-4 in the game. For a big league club that’s struggling to advance base runners, Drury could help. At this point, I’d be ready to eat the balance of Neil Walker’s contract to open a spot for Drury. Walker has done a fine job supporting first base, but the athletic Drury can be equally as effective (if not more so). Very nice job on Saturday by Yankees pitching prospect Garrett Whitlock for the Tampa Tarpons (High-A). Whitlock, 22, picked up the win over the Jupiter Hammerheads with a three-hit shutout. 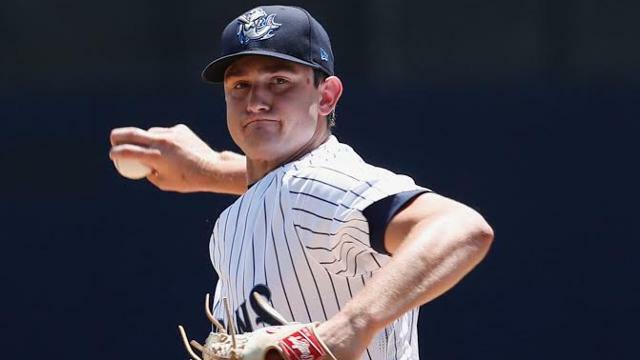 He beat former Yankees prospect Jorge Guzman (the hard-thrower who went to Miami in the Giancarlo Stanton trade), striking out eleven Hammerheads over seven innings while only walking one. Whitlock was drafted in the 18th round of the 2017 MLB Draft. He is currently rated as the 26th best Yankees prospect by MLB.com. He is exceeding expectations (5-3, 1.41 ERA in combined A ball, with 81 strikeouts and only 15 walks in 70 innings) and should advance his stature within one of baseball’s best farm systems with his breakout season. Whitlock has only given up one homer this year (only the second of his minor league career) and none for the Tarpons. I suspect that we’ll be hearing more and more about Whitlock in the coming months. Hard to believe that the calendar will soon turn to July. Trade talks should be heating up in the coming weeks. That should spark some good Bryan Van Dusen posts. It will be a fun month, made even better if the Yankees can put some distance between themselves and the Red Sox. Never a better day to start winning than today. Go Yankees! Update: Sounds like the DFA of Chasen Shreve was fake news or just my wishful thinking. Bummer. I am ready for the guy to go and for Tommy Kahnle to rejoin the Yanks. Aaron Judge recently put it in the best perspective. One of the things he likes most about the Yankees was something to the effect that if you don’t do your job, there are 24 guys ready to pick you up. I don’t remember the exact words but that really isn’t the point. This is a team and a group of guys that are ready to back each other, regardless of the circumstances. Team chemistry made the 1998 Yankees a very special team. I am not saying that the 2018 Yankees are the version of 20 years ago, but this is one of the most closely knit teams that I’ve seen in recent years. 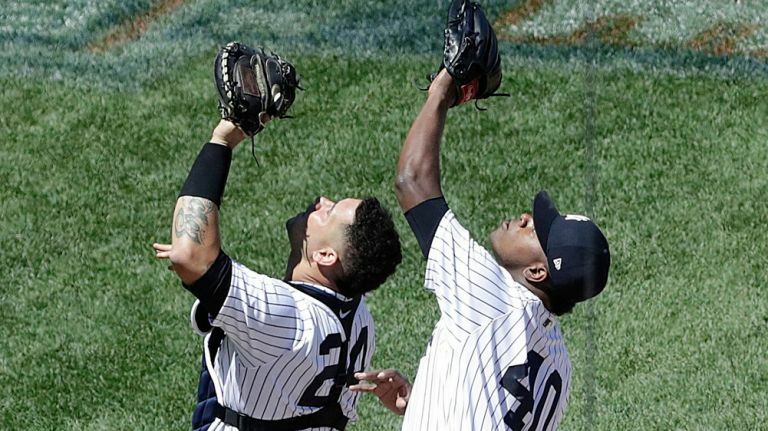 Didi Gregorius had a huge night last evening for the Yankees, powering the team to victory with two home runs and eight RBIs, yet many Yankees fans chose to boo Giancarlo Stanton instead or trash him on social media. Whoa, please step away from the ledge and relax. There’s no doubt Stanton had a night to forget with five strikeouts in his Yankee Stadium Pinstriped debut. But, never once did I find myself in a position wanting to boo the man. In jest, TGP’s fearless leader, Daniel Burch, tweeted #TradeGiancarlo. It was amazing how many Yankees reacted like that but with full sincerity. Granted, Daniel was not serious (he tagged the comment with #TotallyJoking) but the fans who booed Stanton acted like he was the biggest Yankee disappointment since Chris Carter. Stanton’s fault, if anything, was trying too hard to impress the Yankees faithful. He wanted to be the difference-maker, perhaps a little too much. There will be better days. That’s not just my opinion…it is fact. Looking at the attendance figures for the Miami Marlins, it’s obvious that Giancarlo has never played before an Opening crowd of over 47,000 people. The Marlins averaged barely more than 15,000 last year despite an MVP season by Stanton. Stanton has said the right words and we know that he loves New York and he wants to deliver. The pressure he puts on himself is far greater than the pressure we can put on him. He needs our support; not our boos. He didn’t stumble upon 59 home runs last year by accident. Pitchers weren’t lobbing him freebies to hit over the fence. I remember how Dave Winfield would carry the team on his back for weeks. Stanton is that kind of player, only better. My favorite quote after the game was Stanton’s remarks about the incredible accomplishments by the Yankees shortstop who batted fourth behind Giancarlo. “That’s what a cleanup hitter does. You clean up the garbage in front of you.” He took ownership of his performance but was not going to let it defeat him. Aaron Boone was asked about Stanton after the game and he talked about how the slugger can have an off-night and yet the team produces eleven runs. As Boonie said, “There’s going to be a lot of days when we jump on his back”. Boone added that he was not at all worried about Stanton. Why should he be? Stanton is a stud and I am glad he’s a Yankee. What can you say about Didi’s performance? 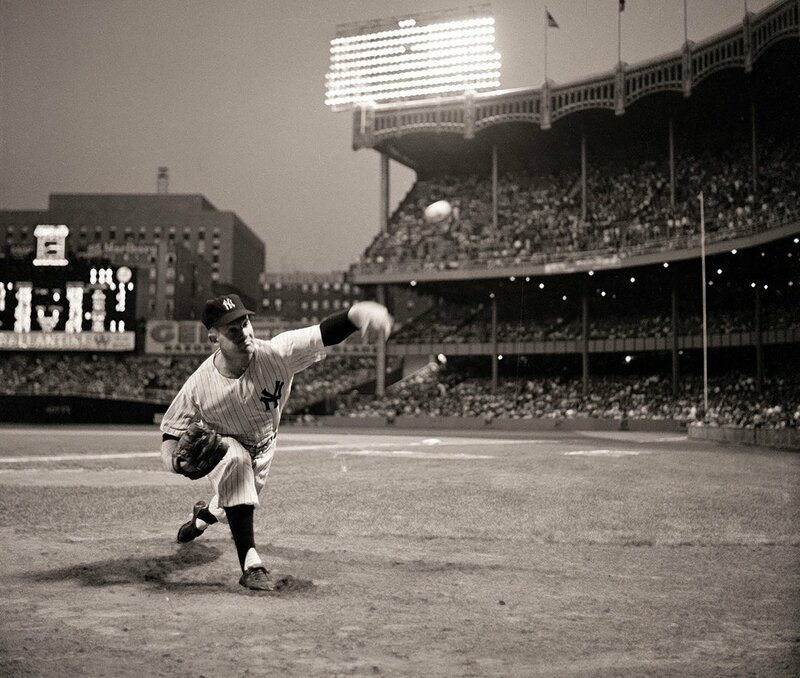 It was the greatest game for a Yankees shortstop in franchise history. He was 4-for-4 and helped to ensure the snow-postponed, rain-delayed home opener was a success despite the questionable weather conditions. When interviewed after the game, Didi deflected the attention away from him individually and spoke how it was a team effort. It was crazy in the off-season when everyone was developing top ten lists and Didi’s name was rarely mentioned in the conversations. I honestly cannot think of anyone that I’d rather have at shortstop for the New York Yankees than Sir Didi (with no offense to Manny Machado or others). 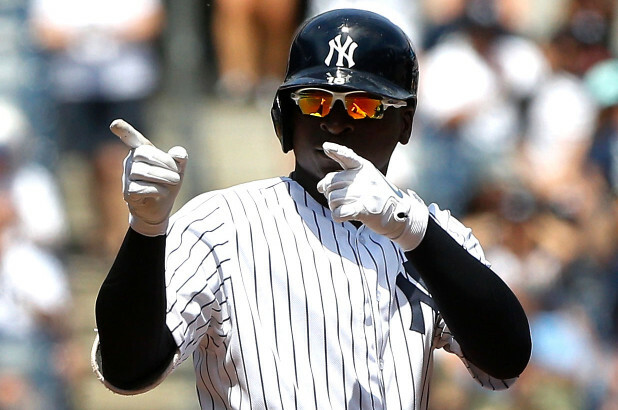 Francisco Lindor and Carlos Correa are incredibly gifted but I am glad we can call Didi Gregorius our own. He’s a worthy successor to Derek Jeter and has proven he is his own man. He’ll go down as one of GM Brian Cashman’s best trade acquisitions. I know all of us kind of wish that Jordan Montgomery had been allowed to go a little deeper into the game, but he was excellent for five innings despite the four walks he gave up. 80 pitches, two hits, one run, and four strikeouts to start the year with an ERA of 1.80. He has looked noticeably better than last year when he did a really good job as a rookie. You have to really like the progress he is making to become a reliable force in the rotation. In many cities, the fifth starter is either a Triple A performer or an older veteran trying to hang on. Gumby has the potential to be an October star. He’ll never be Luis Severino but you don’t need five Severinos to win a World Series championship. You need winners and Montgomery is one. A single run through the starting rotation this season and I am feeling very good about the state of the starting staff. Knock on wood that the present outfield injury plague doesn’t spread to the pitchers. Speaking of outfielders, the Yankees claimed outfielder Trayce Thompson yesterday off waivers from the Los Angeles Dodgers. I realize that Thompson did absolutely nothing in 2017 (55 plate appearances, one home run, two RBIs, .122/.218/.265, .483 OPS) but I like the move. Thompson, 27, was well-liked by Dodger fans and his availability was due to the glut of right-handed outfielders on the Dodgers roster. Thompson, brother of Klay Thompson of the Golden State Warriors and the son of former NBA player (and champion) Mychal Thompson, hit 13 homers in 2016 before a back fracture ended his season so he has some pop. The guy just needs to play. Sure, he could be back on the unemployment line once guys like Aaron Hicks and Clint Frazier return to good health but I think it was worth taking a flyer on Thompson. 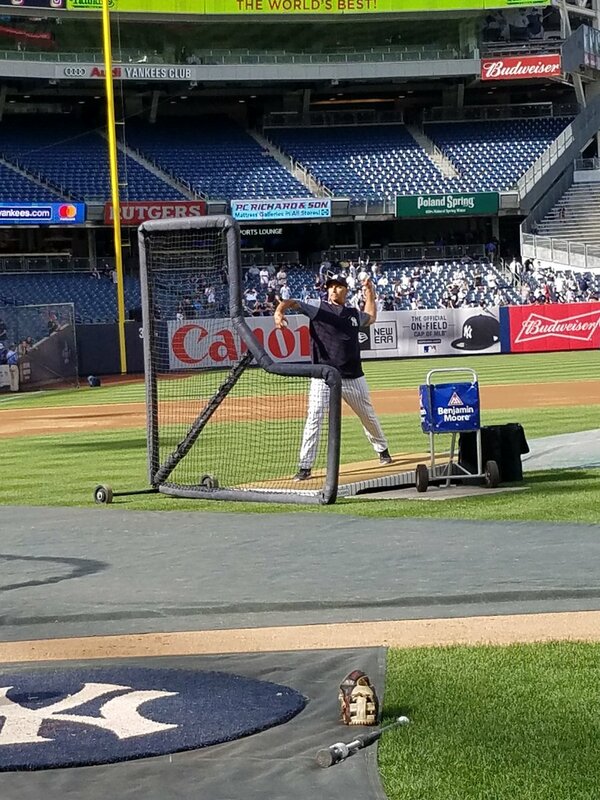 The Yankees have one coach who is very familiar with Thompson, bench coach Josh Bard. Bard served as the Dodgers bullpen coach for the two years that Thompson was in LA. So I am sure that Cashman sought input from Bard before making the waiver claim. To make room for Thompson on the 40-man roster, the Yankees moved reliever Ben Heller from the 10-day disabled list to the 60-day DL (right elbow bone spur). No word yet if Thompson will be immediately added to the 25-man roster or if he’ll start the season with extended spring training. He is out of options. While I am saddened to see Heller’s season start off on the wrong foot, kudos to the Yankees. They had optioned Heller to the minors, but when the decision was made to place him on the DL, they voided the demotion to keep him at the Major League level which means that he is accruing MLB service time and pay while on the disabled list. I don’t know the circumstances behind the decision but it appears to me they could have placed him on the DL after the minor-league assignment which would have prevented the service time accrual at lesser minor league pay. Outwardly, it appears to be a very generous move by the Yankees to look out for Heller’s best interests. Heller was my breakout candidate for the year so I am hopeful that he has his opportunity before the season is done. It’s a new day. When Giancarlo Stanton takes his position in the batter’s box later today, I know I’ll be cheering. Regardless of whether the result is a home run or a strikeout, I will be proud #27 wears Pinstripes. And #18 too, oh, hell yes!